Patrick Cumin (d 1820) was the longest-serving professor in the history of the University, holding the Chair of Oriental Languages from 1761 to 1820. He was elected as Clerk of Senate in 1774, and served in that capacity again from 1795 to 1796, during the absence of Patrick Wilson. He was awarded an LLD in 1803. Cumin's father, also Patrick, was a minister and Professor of Ecclesiastical History at the University of Edinburgh. 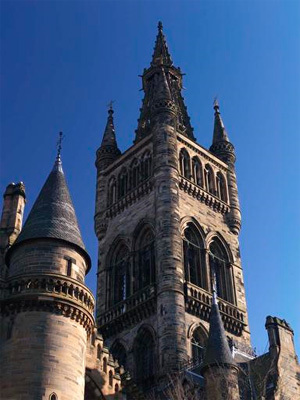 Cumin graduated MA from that university in 1760 and was apparently appointed to the Glasgow Chair on the recommendation of David Hume, who wrote to Adam Smith on the matter in 1761. In addition to teaching students in Oriental Languages, Cumin taught French and Italian for thirty of his fifty-nine years in Glasgow. Cumin's son William was Regius Professor of Midwifery at the University from 1834 to 1840.